The Teen Intensive is a program offered by the Playhouse for teens ages 13-18 that allows kids to produce and perform in classic productions over the summer. They are expected to learn music, lines, light and sound cues, stage managing, advertising, and other important elements that go into a professional production. Aside from the directors, choreographer, stage manager, and music director, the shows are entirely run by the teens themselves, creating a multitalent-oriented atmosphere. 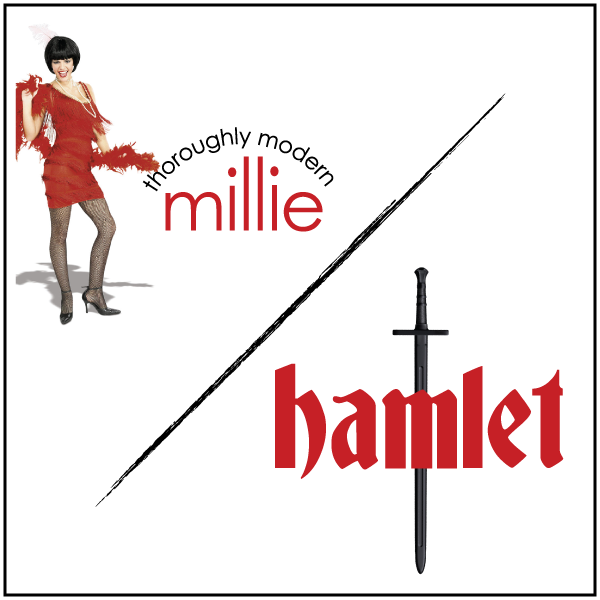 This year’s intensive features two classic shows: Thoroughly Modern Millie and William Shakespeare’s Hamlet. Set in the 1920’s, Thoroughly Modern Millie is a bombasticly fun musical about a young woman, Millie Dillmount, who aspires to be a modern woman in a big city, marrying for money instead of love. Millie checks herself into the never-boring Hotel Priscilla in New York City only to find herself being housed by the leader of a white slavery ring in China and no male suitors ready to take her hand. In contrast to the fun-loving Broadway hit is Shakespeare’s classic Hamlet, about Denmark’s royal family and the controversy over the suspicious marriage between the King’s brother and his widowed wife, only a few months subsequent to his sudden demise. When Hamlet’s father comes to him in spirit with news of his murder most foul, Hamlet takes it upon himself to show the truth to his mother and country, no matter what cost. The intensive, and theater in general, creates well-rounded, able teens in our community prepared to take on jobs and careers at an early age due to the amount of responsibility they grow accustom to while putting together a production. The amount of talent going up on the Playhouse main stage this August is sure to overwhelm and excite: both shows are a must see! Coming this summer, we’ve got an awesome Audition Workshop for ages 16+ with Duluth native De’Lon Grant. Check out his video blog below to learn more about this awesome week-long camp offered in August. Tonight we have auditions for a really awesome show called Ring of Fire based on the music of Johnny Cash. Check out this video below – it does a really great job of explaining what this tribute to Cash is all about. Ring of Fire – Behind the Scenes from Milwaukee Repertory Theater on Vimeo. We are doing the Small Cast Version with 5 actors, as described in the video. While the original arrangment calls for each actor to play their own instruments, we are keeping an open mind to potenially cast musicians as the on-stage band also. If you love Johnny Cash music (and let’s face it, who doesnt?!?!) you should definitley come out tonight! Grab the official audition packet here. Auditions are from 5:00-7:00pm at the Playhouse Conservatory. You can sign up for a slot by calling us here at the Playhouse (218-733-7555) or just show up and we’ll work you in! Playhouse Performance Intensives are designed to offer more advanced, challenging, diverse, and educational experiences for young performing artists in our region. There are amazing opportunities in age appropriate categories for youth 8-13 and 13-18. Those seeking musical theatre, acting, voice, and dance training will be challenged and empowered by performing in our summer programs. 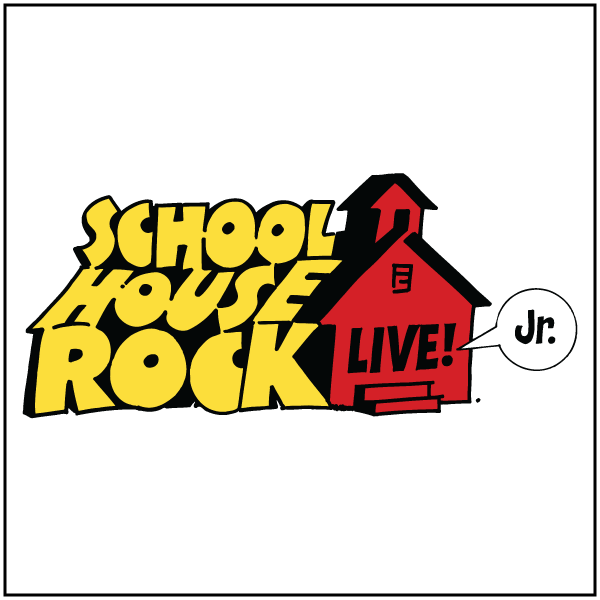 The Junior Intensive (ages 8-13) this summer is Schoolhouse Rock LIVE!, Jr. The Emmy® Award-winning Saturday morning educational cartoon series and pop culture phenomenon is now the basis for one of the most fun musicals ever to hit the stage. Featuring classic songs like “Just a Bill” and “Conjunction Junction”, this show is going to be a blast! The Teen Intensives (ages 13-18) this summer are Shakespeare’s Hamlet and the musical Thoroughly Modern Millie. In true repertory fashion, our teens learn every aspect of mounting a show; if they’re cast in one show, they’re running crew in the other. With a classic like Hamlet and a high-spirited musical romp like Thoroughly Modern Millie, the Youth Repertory Theatre Company is going to rock it this summer! Auditions are Monday and Tuesday, April 28 and 29 at the Playhouse Conservatory from 4:00-8:00pm. You can access the audition packet for Schoolhouse Rock by clicking here, and for Hamlet/Millie by clicking here. If you have any questions about auditions or any of the shows, contact the Education Department at ctainfo@duluthplayhouse.org or by calling 218-733-7574. 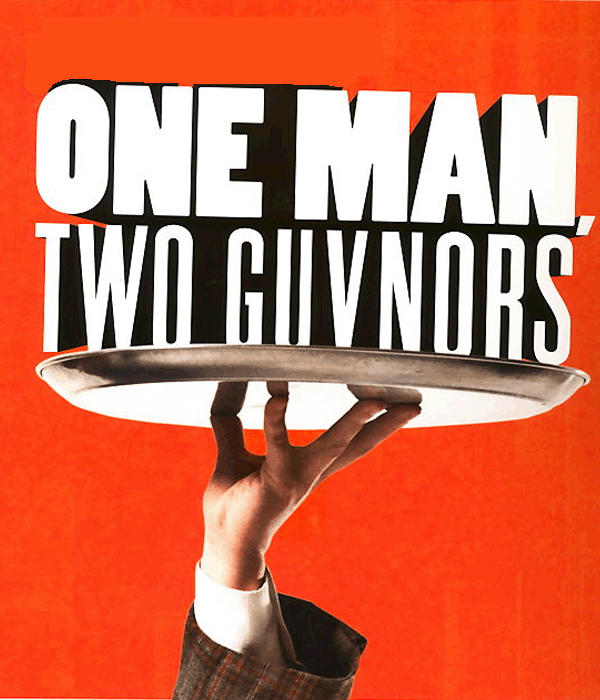 Our first show of the 2014-15 Season is comedy One Man, Two Guvnors by Richard Bean. I feel like the best way to describe this hilarious show comes from the Hollywood Reporter: “If you’re not having a good time at this show, you may be on the wrong medication.” The show recieved 5-star reviews from every London newspaper and was the hit of the 2012 Broadway season. One Man, Two Guvs will be directed by Twin Cities based director Benjamin Kutschied. Auditions will be held on Saturday, May 10 from 10:00AM – 2:00PM. We do have scripts available for checkout here in the Playhouse Administrative Office for a $5 cash deposit. To access the official audition packet, click here. Also, if you cannot make this audition date (it is a busy time of year! ), please contact Artistic Director Christine Seitz to arrange an alternate time. Sign up for an audition slot in the Playhouse Lobby or by calling us at 218-733-7555. 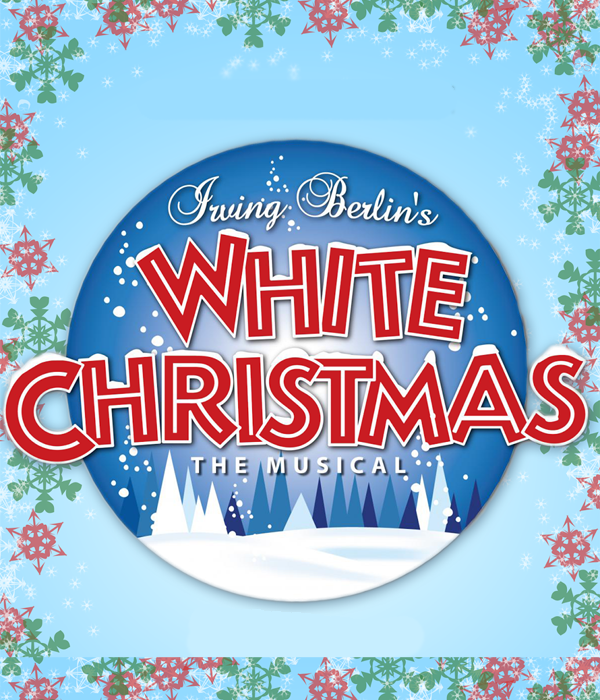 Our holiday slot of the 2014-15 Season will be Irving Berlin’s White Christmas! We couldn’t help but remount this fantastic Christmas classic – and its going to be better than ever with director Michael Ferrell, back by popular demand! Fresh off his Playhouse directorial debut with smash-hit Anything Goes, Michael will be back to bring this beloved musical to life just in time for the holidays. Adult auditions will take place on May 17th from 10:00AM to 3:00PM, followed by auditions for “Susan Waverly” with girls ages 9-13 from 3:00PM-4:00PM. Callbacks will take place on Sunday, May 18 from 10:00AM to 5:00PM. To access the official audition packet, click here. We also have scripts available for checkout here in the Playhouse Administrative Office for a $5 cash deposit. Again, if you cannot make this audition date (it is a busy time of year! ), please contact Artistic Director Christine Seitz to arrange an alternate time. We do realize that auditions fall on UMD Graduation, but it was the only time Mr. Ferrell could make it up to Duluth! Sign up for an audition slot in the Playhouse Lobby or by calling us at 218-733-7555. We can’t wait to see you there! On the horizon, we’ll be having auditions for Hedwig and the Angry Inch, a musical from The Underground’s 2014 Season that runs in October. “HEDWIG AND THE ANGRY INCH brings theater alive with the pounding sounds of rock ‘n’ roll and the funny sad voicing of a painful past…it is also an adult, thought-provoking musical about the quest for individuality…the kind of Rocky Horror Picture Show-style event that may inspire a rabid cult following.” —NY Times. And late summer (probably mid August) we’ll be auditioning for the first Children’ Theatre production of the 2014-15 Season! I am so excited to share that this year, we here at the Playhouse have been working hard to bring our spring break camp experience to not one, not two, but THREE locations this year! In an ongoing attempt to be a part of not only the Duluth community, but to extend the reach of our arts education programming further into the Northland, we will be coming to the Superior Public Library and the Cloquet Middle School for the first time ever, as well having our third year of Duluth spring break camp at the Playhouse Conservatory. Even more exciting? We are delving into the animal kingdom for all three of these Poetry Panda-monium Spring Break sessions. That means we will be playing with character movement and discovery; becoming different animals, studying how they move and communicate and finding ways to costume ourselves to look like these creatures. This sort of character discovery is great for the brand new actor, ready to give their creativity a work out for the first time and for the seasoned young actor ready for the next challenge. The week of camp will consist of character, poetry and language exploration building to our final showcase for family and friends on Friday. Come play with us during your spring break for an exciting and fun-filled week that is sure to spark your creativity and unleash your inner animal! Contact Sarah to register, or if you have any questions! Spring Classes start next week at the Playhouse with diverse opportunities to act, sing, dance and have fun. There are classes for youth, teens and adults to get outside the box and try something new! Open House is Saturday 2/1 from 10-11 am at the Playhouse Conservatory (in the Wells Fargo Building). You can receive a $10 discount if you register for classes on site that day. Youth and teens can meet instructors, ask questions, and try a class on for size! Take it from some of our teaching staff: Education Director Kate Horvath asked longtime Playhouse Education Program staff Patrick Colvin and Actor’s Gym Scene Study Instructor Michelle Juntunen why they would encourage a student to take a class at the Playhouse. Did you know that we have an exciting way to celebrate your child’s next birthday? Looking for the perfect birthday celebration for your theatrical child? We’ve got you covered! With our two birthday party options, your child can celebrate their special day with theatrical flair. You make the reservations, invite the guests and we’ll handle the rest! We have two options to choose from: the Create a Play Party and the See a Play Party. If you choose to Create a Play the birthday child and their guests create a production that is all their own! Choose from our Pirates at Sea, Wizarding World or Fairy Tale Forrest themes and take a popular story from the page to the stage. Choose your theme, and guests will have a blast acting out a story with set pieces, props and costumes included! New this year, we are able to have these in The Underground theatre! If you decide to See a Play, the birthday child and their guests get a chance to see Playhouse Children’s Theatre production, tour the stage, meet the cast and the birthday child will make a guest appearance on stage while the audience sings Happy Birthday! Matinee performances of A Winkle in Time, Hairspray and special this year, Peter Pan, are available for the See a Play birthday parties. Want us to take care of the details? Items like pizza lunch, cupcakes or juice are all items that we can provide at an additional cost. If you are interested in booking this truly unique experience for your child, call Sarah today at 218-733-7559. Come Play With Us! 2013 Fall Classes at the Playhouse! It’s September, which means Fall Classes here at the Playhouse are just around the corner! We’ve got some awesome classes for ages 5-18 and adults this semester and we can’t wait to get started. Classes will be starting the week of October 7th. Curious about what classes we’re offering this Fall? Check out the rundown below, which is also available on our website or in the 2013 Fall Brochure, which we have copies of in our office here at the Playhouse. To download a registration form, visit our website. And to register online, click here.